News, Reviews, a Look Back and a Note From Myron! This is a general email going to the first group on the list that popped up so it may not affect you. But if it does I hope you read it. Jeannette and I are the ones dealing with the Palms Hotel and the Pearl Theatre and we know these people and know who to talk to in order to get things changed. If you have a complaint about the set up that we are organizing please email me. Please do not chew out the staff at the hotel because they know nothing about our arrangements until they are given exact instructions from higher up. AND THEN that is our business. If you blow your stack at some hard working staff member when they have no idea what you are talking about then that just makes things more difficult for us – for me. Some notes about the hotel code: The one I gave you DOES WORK NOW. Sept. 3, I tried it myself and so did Jeannette. It works. Next thing: our contract allows for 8 rooms with group discount. When those are taken up then I (read that Myron ) will be notified and we will sign out another bank of rooms . You must understand that they will not give out a discount on 60, 70 , 80 rooms or whatever if we only have 12 people at the Fan Faire. So that is why they phase them in by group numbers. Someone told the hotel that they “heard ” there was 125 rooms being set aside. I have not idea where that came from but it is wrong. As I said: 8 then another 8 and so on. I take the blame for not making that part clear. Frankly, I think we are going to fill this banquet hall and fan faire totally so we may need more rooms. The evidence will happen when you all register on our website for the Fan Faire. We just finished setting up bank business today so that is going up on our website soon. Guess what ? These are nice people we are dealing with. You may have gotten another idea but that is my fault. They have their process they go through. None of us were expecting the Landslide of response from all or you. We thought we would have to go out and beat the grass and the bushes to get people to respond. We never guessed that this huge response would happen so early ( it is still 6 months away yet ). Thank you for your patience. I am sure we will all have a great time when it gets here. In the meantime, relax and enjoy the fall. NIAF is incredibly excited to announce that Il Volo, the three world-famous young Italian tenors, will be joining us for our 40th Anniversary Gala Weekend in Washington, D.C. this October! Want to join in on the fun? Il Volo will make a special appearance at our Friday October 16 event, “Joe Piscopo and Friends Celebrate Frank Sinatra’s 100th Birthday,” and will perform on the evening of the Gala on Saturday October 17. At least they didn’t list Gianluca as a soprano. The media always gets that wrong. We know better! This is my new favorite video. It was made by Natalia Phelps and it’s marvelous! Kind of kick starts your heart. Please enlarge for the best effect. Just for fun. Remember this? It’s ok to forget the suits though. If they sang the phone book I would buy it! Thanks Kitty! So much was going on in May that I overlooked this spot on review. Nothing to disagree with here! “It’s no surprise that Il Volo has a very good chance of winning Eurovision this year with “Grande Amore”……. Oh…and here’s my new address. I just liked the name of the town!! Hey Folks! The video for L’amore si muove is out! See it on Il Volo VEVO on You Tube. Gotta go! Gonna watch it again. Ciao! Someone translated what was said at the end: “Thinking that we have been a lifetime together -Of our lives will remain only a memory becuase it has always been a handshake -We have been singers but our passion has always been….dancing!” 🙂 cute! 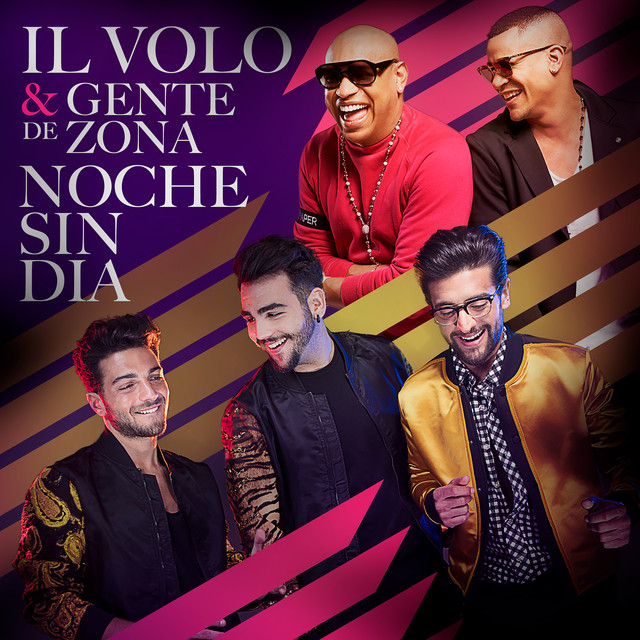 I saw a video on youtube where Ignacio and Gianluca were laughing at Piero for being somewhere and breaking into “a wop bop a loo boo a lop bam boom!” There’s got to be an inside joke with this song, lol. 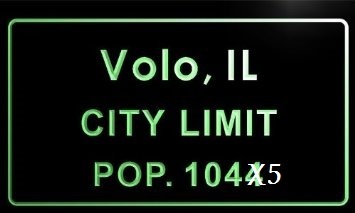 I am not sure where the rooms are located vis-a-vis other Il Volo people but they are in the same hotel facility. 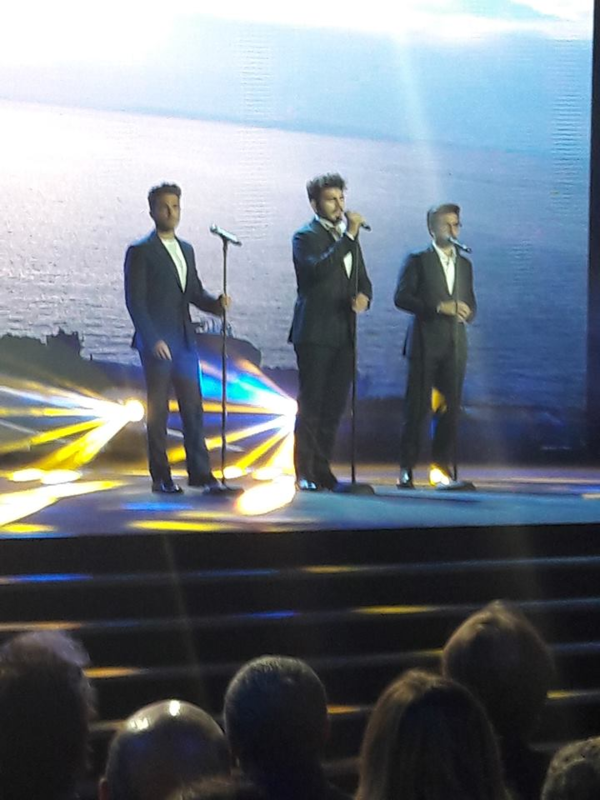 The Il Volo Banquet will be part of the over-all Fan Faire event – it is all one price. Jeannette is setting up the website with Pay Pal and other methods of payment. Keep checking the web site. Ah Myron, so happy to see you here today! Hi Myron- I just e-mailed you with my name (Joan Brenin) etc. I hope you received it. There will be 2 of us attending the banquet. I am assuming it is the evening of March 24th. I also called the hotel and I already gave my reservation but they had no more discounts available. I hope they add more. Thanks for all the time you are all putting into this wonderful Il Volo convention. Myron my e-mail did not go through. Said Mailbox Unavailable !! The complete Il Volo Fan Faire (including the Banquet ) happens on the same day as the concert – Friday, March 25 . Again, everything is on the same day. re: discounts when we get to the next 8 room requests we will add more. That will probably happen today sometime and if not then Monday. Everyone, wait for instructions in tomorrow’s post. I think things will be a bit clearer then. Thanks Marie. It is little confusing. Like is the convention the evening of the 24th ? Duh !!! And where is the list that was mentioned ? I am confused how are we supposed to use these codes or passes I never saw the one DOES WORK NOW does this one belong with the rooms? Are we asked for these codes & if we don’t have them we don’t get accepted? We find out what extra charges are when? Myron, Do you have any idea yet as to how much the Fan Faire is going to cost?